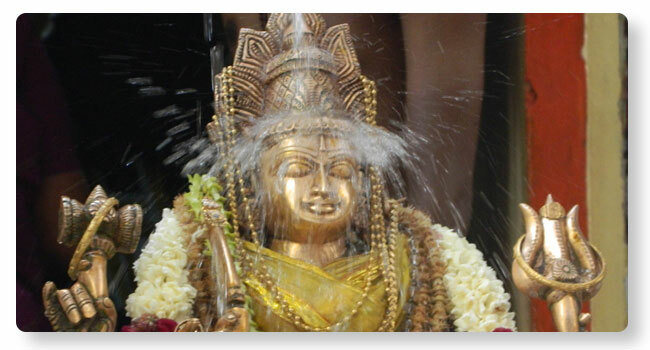 Abhishekam carried out by pouring libations to Ambal amidst the chant is the ultimate service to the divine. Abhishekam performed to Ambal to the accompaniment of divine hymns is viewed by devotees. Chants of various Suktas recited with Abhishekam create positive vibrations that are highly beneficial.